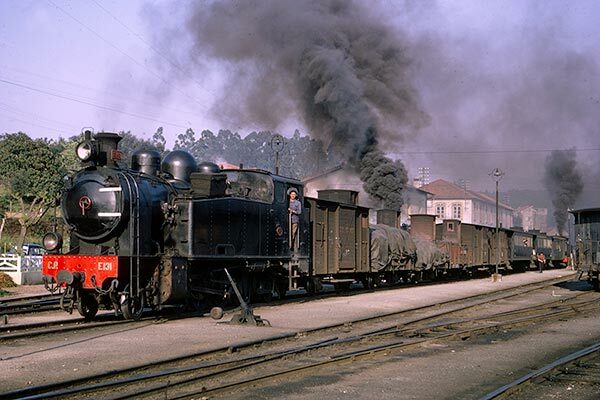 Caption - Portuguese Railways (CP) metre gauge 2-8-2T E131 (Henschel 1924) at Sernada do Vouga in April 1970. This station was a junction with lines radiating to Espinho, Aveiro and Viseu. As in this image with three trains present, it had periods of busy activity each day before the station returned to tranquillity for an hour or so.